One of the differences between doctors who are very experienced in male hormone replacement therapy and those who are not is that doctors who routinely treat patients for Low T are far better equipped to answer questions like how long does testosterone cypionate take to work? Not all physicians can specifically answer their patients’ questions about using medical treatment for testosterone deficiency because not all of them have the same level of experience in prescribing it; some actually have none at all. Yet doctors such as those at Nexel Medical, where we specialize in treating adult for hormone disorders like Low T, can provide you with the answers that you’re looking for. So in perhaps somewhat stark contrast to your current PCP or general practitioner, we are going to answer some of the most common questions that adults have about using testosterone cypionate injections for the relief of their Low T symptoms. 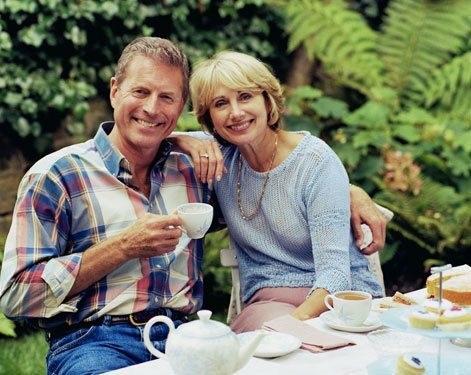 In fact, we encourage adults to come to us with their questions about using testosterone replacement therapy (TRT) because unlike some medical practitioners in the US, we believe that adults have a right to make their own informed decision about using this form of hormone therapy to increase their clinically deficient androgen levels. There are several ways to reply to the question of how long does testosterone cypionate take to work and we believe that you should have all of them in the interest of fully understanding the answer. One response is that this controlled pharmaceutical substance begins working as soon as it has been intramuscularly injected it into your system. It is an accurate response because testosterone cypionate immediately begins to get to work in normalizing your androgen levels, which it can accomplish within just a few days. However, another accurate response is that it takes time for your body to adjust to the supplemental increase you have provided it with, so it can take several weeks for most patients to begin experiencing the initial results of their treatment. Yet another response that our doctors believe you should have is that as your testosterone cypionate treatment cycle proceeds, you will continue to accrue more benefits as evidence that your therapy is working as it should be. How Long Will Testosterone Cypionate Stay Within Your System? This question is sometimes asked as how long does testosterone cypionate take to work itself out of the system of an adult who discontinues Low T treatment? And the reason that many adults ask about this is because they have heard stories about the effects of withdrawing from TRT use. The research performed on this subject reports that approximately 50% of the exogenous (externally originated) testosterone cypionate in a patient’s system is gone within a week or so; however, this form of bio-identical testosterone typically remains in the system for between six and seven weeks after the last dose has been administered before being fully eliminated. The most influential factor in experiencing symptoms of TRT withdrawal is this one – whether they have stopped their treatment program gradually or abruptly. Just as answering how does testosterone cypionate take to work in a comprehensive way involves providing several responses, the question of will I experience withdrawal symptoms has several parts to it. A knowledgeable TRT provider will want to progressively taper off your exogenous testosterone supply so that your nervous system and the bodily functions can gradually adjust to having lower male hormone levels to draw from. By tapering off instead of abruptly halting your treatments, an experience hormone therapy is using the recommended protocol for minimizing common withdrawal symptoms such as fatigue, headaches, low libido, mood swings, muscle loss, and sexual dysfunction. What’s the Typically Prescribed Testosterone Cypionate Dosage? The paradox in explaining what typical testosterone cypionate dosages are is that there are no typical patients. Every individual patient, whether it is someone using TRT or someone being treated for a completely different medical issue, is going to have unique requirements and is going respond to their treatment in a uniquely personal way. But naturally, hormone replacement therapy doctors do utilize certain guidelines when determining approximate dosages and then customizing the treatment dosage of each individual patient to maximize their benefits. Optimizing the dosages of patients also plays a part in being able to answer their individual queries regarding how long does testosterone cypionate take to work, month by month over the duration of their prescribed programs. The clinical guidelines list the “usual” dose for men using this form of pharmaceutically manufactured androgen as 200 mg every two weeks up to a maximum dosage of 400 mg per month. However, your hormone therapy doctor may have valid reasons for recommending adjustments to this dosage. Those reasons could include things such as your body weight; the other medications that you are currently taking; and any other medical conditions that you may have. The most critical factor related to your dosage instructions is to always follow them exactly and never change the way you are taking your medication without first consulting with the TRT doctor who has prescribed your program of treatments. Also keep in mind that that your doctor will need to monitor your treatment by periodically having certain clinical tests performed on you, such as your blood testosterone levels, red blood cell counts, blood cholesterol levels, PSA tests, and liver function tests. It is critical to have these tests performed in order to ensure that your treatment continues to be both effective and safe for you to use. You will receive the best benefits from your treatment by complying with your dosage and testing instructions; and should you miss one of your regularly scheduled treatments, do not attempt to correct the mistake by doubling up on your next scheduled dose. Doing this could negatively affect how long does testosterone cypionate take to work. Instead, contact your doctor immediately for instructions on how to get back on your schedule correctly. Serous side effects should also be reported to your TRT provider immediately. While serious adverse reactions to testosterone cypionate injections are relatively rare and occur in only 1% of users (most reported reactions are minor and temporary), certain problems should be reported to your doctor without delay. Examples of these would include persistent abdominal pain or nausea; unusual swelling in the feet, ankles or hands; depression, anxiety or other undesirable changes in temperament; dark urine, jaundice, or excessive fatigue; and difficulty sleeping. 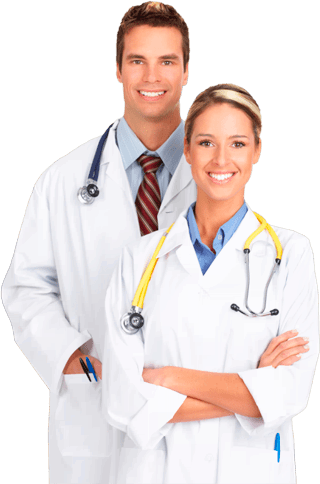 Where Can You Buy Doctor Prescribed Testosterone Cypionate? As a controlled pharmaceutical substance, testosterone cypionate is only available by prescription at licensed US pharmacies, whether they are located online or in the local neighborhoods of TRT patients. And in a potentially related way, where you purchase it can have a bearing on how long does testosterone cypionate take to work – because if you have to special order your treatments from a local pharmacy that does not typically stock them, it could possibly cause delays or interruptions in your program. A large percentage of today’s Low T therapy patients are buying their prescription treatments from licensed online pharmacies located here in the US. These pharmacies are often, but not always, affiliated with licensed online TRT medical providers, which makes them a very efficient and reliable choice for patients who are going to be using doctor prescribed substances such as testosterone cypionate for an extended period of time. So in essence, many patients have discovered that the answer to where they should buy their treatments is the same as the answer to where they should find their TRT doctor – and it’s online. This is exactly what Nexel Medical’s patients are doing; and they are discovering that it is easily the most convenient way for them to access Low T testing, a prescription for treatment, and the treatments themselves. In theory, patients can buy testosterone cypionate at any properly licensed US pharmacy; however in practice, today’s busy adults are discovering that using an Internet-based medical provider and pharmacy is faster and more efficient for them than waiting to see their own PCP for a referral to a specialist and then waiting for an appointment with that specialist. Which method sounds better suited to your lifestyle? If you are concerned with how long does testosterone cypionate take to work, then you probably don’t want to wait for weeks just to get your treatment process underway. You can get it underway starting today just by calling Nexel Medical, or by using the convenient contact form on our website to get in touch with us by email.